The Department of Obstetrics & Gynecology prides itself on a large global presence. 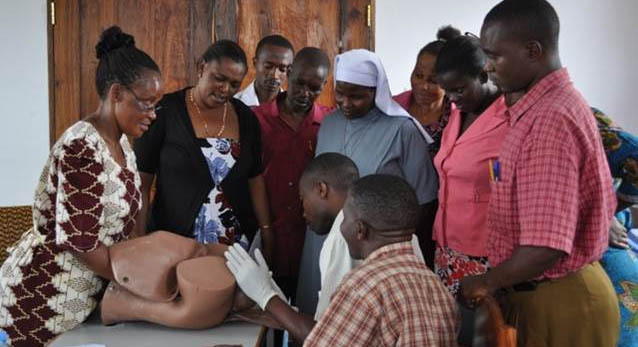 We have a robust Global Health initiative that traverses the globe, reaching places such as China and Tanzania, with several physicians participating in educational and training initiatives in various settings. Our international presence includes, but is not limited to involvement in the Ottawa-Shanghai Joint School of Medicine, and Obstetrics/Gynecology International Surgical Team for Education and Research (OISTER). In addition to this, we have ties to the Canadian Network for International Surgery (CNIS) and the Department of Foreign Affairs, Trade and Development (DFATD). Our program is highly collaborative and recognizes the unique cultures of each Country our teams visit. International collaboration in the near and distant future is ever present and continues to augment the learnings and teaching of our Department at the University of Ottawa.